Finance Minister Bill Morneau arrives for a cabinet meeting in Sherbrooke, Que., Jan. 16, 2019. 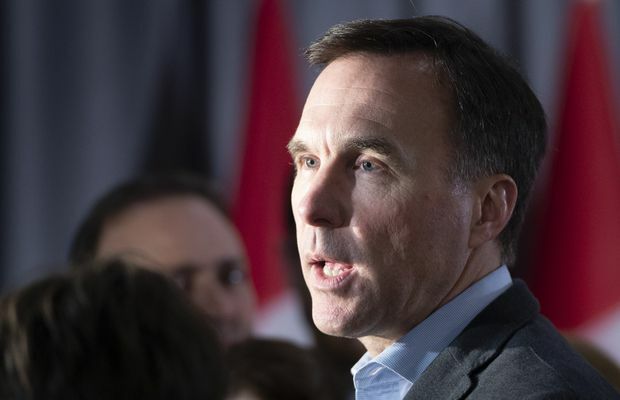 The Trudeau government is looking for ways to make home-buying more affordable for millennials, Finance Minister Bill Morneau said Tuesday as he held prebudget public events in the Toronto suburbs. Housing, with all that it means for people’s personal finances and lifestyles, is expected to be a prominent campaign issue ahead of October’s federal election – and major parties have already begun to position themselves. The federal government, he said, has already tried to increase the supply of affordable housing and to cool the hottest markets – such as Toronto and Vancouver – by introducing stress tests that limit some people’s ability to take out big mortgages. “The middle part – the big middle part – is the affordable housing for millennials,” said Morneau, who will release his election-year budget in the coming weeks that will also lay out Liberal platform commitments. In their 2015 election platform, the Liberals also promised to enhance the popular Home Buyers’ Plan, which enables first-time buyers to borrow up to $25,000 tax-free from their registered retirement savings to put toward the purchase of a home. The amount must be repaid within 15 years. But the Liberals haven’t appeared to be in a hurry to fulfill the pledge, which would enable Canadians affected by major life events – death of a spouse, divorce or taking in an elderly relative – to dip into their RRSPs to help with the purchase of a home.